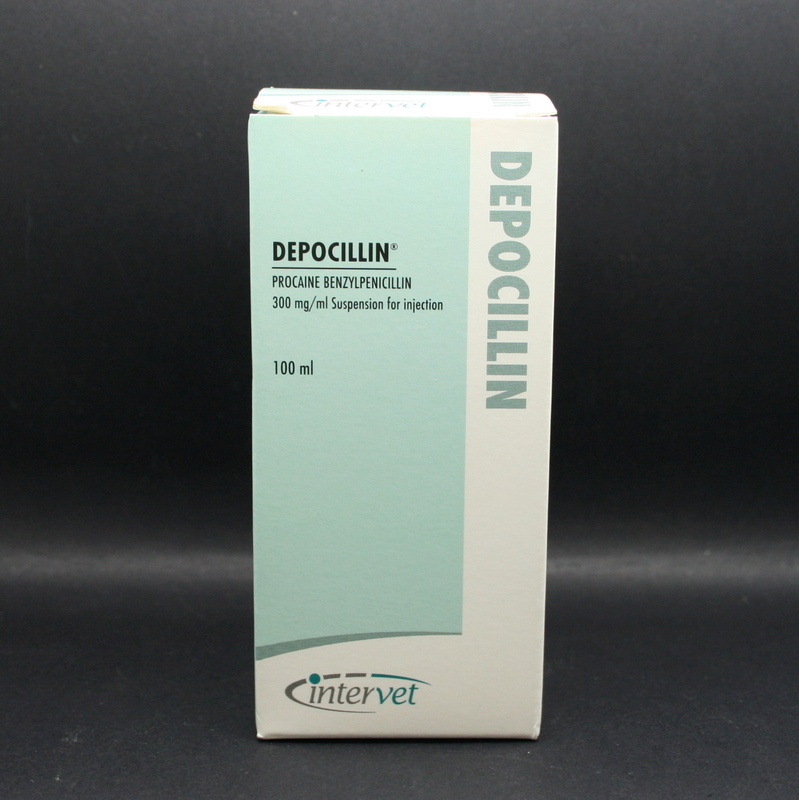 Depocillin contains Procaine Penicillin, an antibiotic from the beta-lactam group of antibiotics. 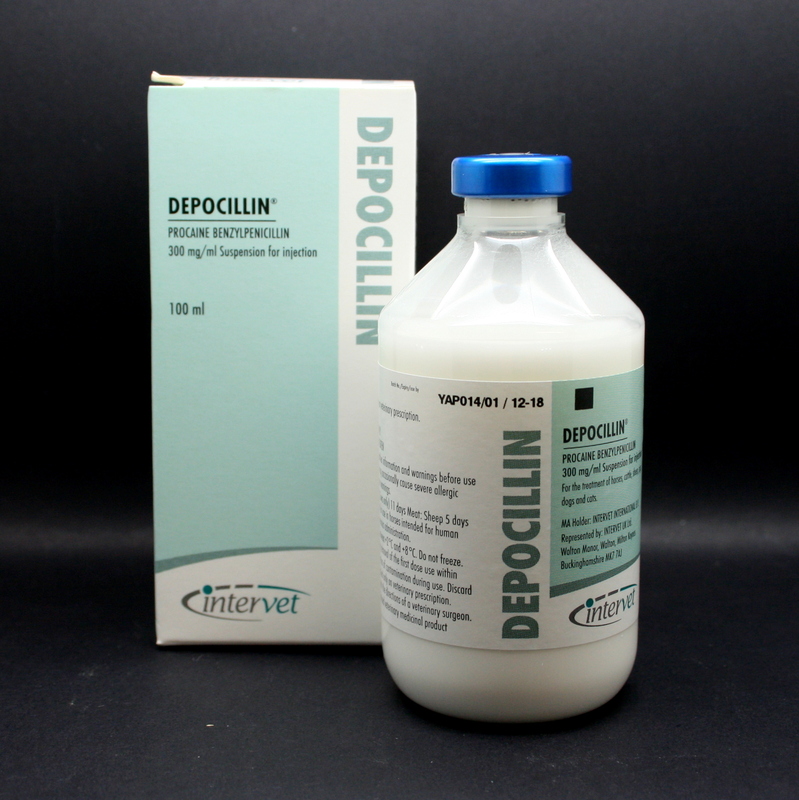 It is a popular broad spectrum antibiotic used to treat horses with bacterial infections caused by penicillin sensitive microorganisms. It is given by intra-muscular injection (NEVER intra-venously). 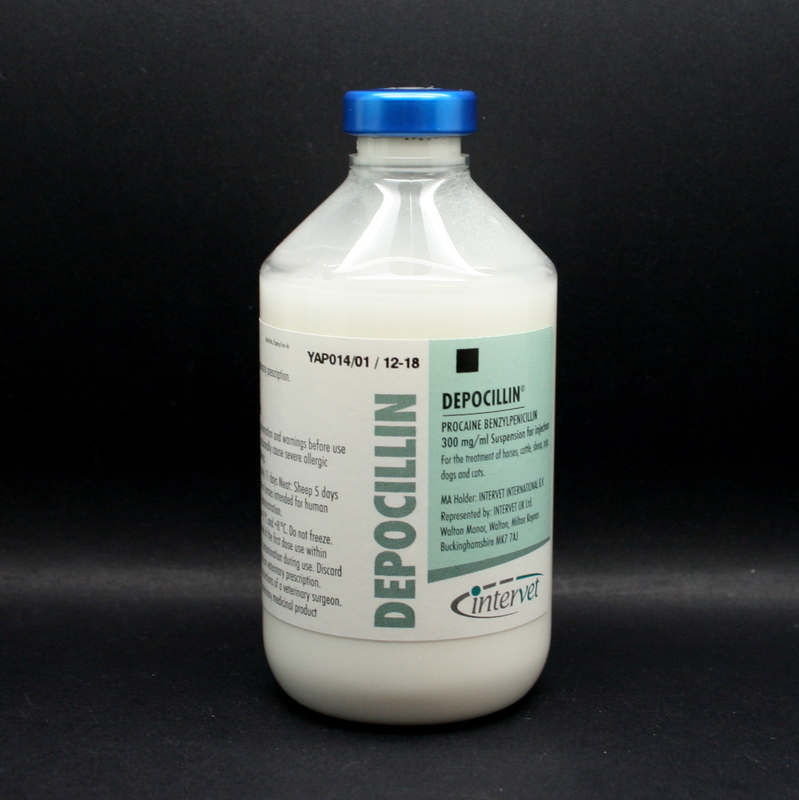 Depocillin should be stored in a refrigerator, between 2-8 ° C & protected from light. 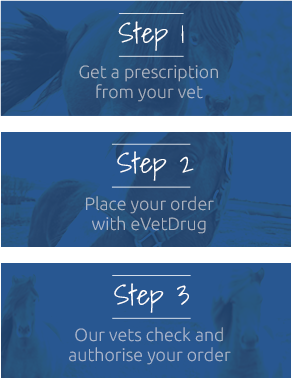 Warnings & Contraindications- Do not administer to horses that are allergic to Penicillin. During a course of treatment, do not use the same injection site more than once. Shake the container vigorously before use, otherwise the product can separate. Store between 2°C to 8°C, in a refrigerator.